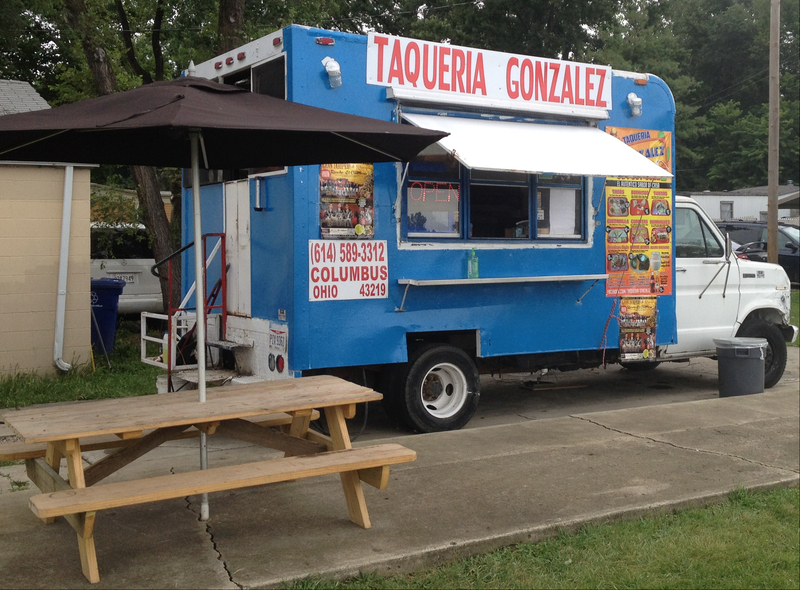 By count we can think of at least three other trucks that have called this spot home but Taqueria Gonzalez offers a few upgrades. The most noticeable is aesthetic, this truck is parked on what was probably a former trailer home site – it offers a sidewalk leading right up to the ordering window. There is a large picnic table with umbrellas available for guests to sit and relax while waiting for their meal or to eat it al fresco. Given the choice between waiting in the cell phone lot at the airport and eating a tasty taco here….the choice is clear cut. 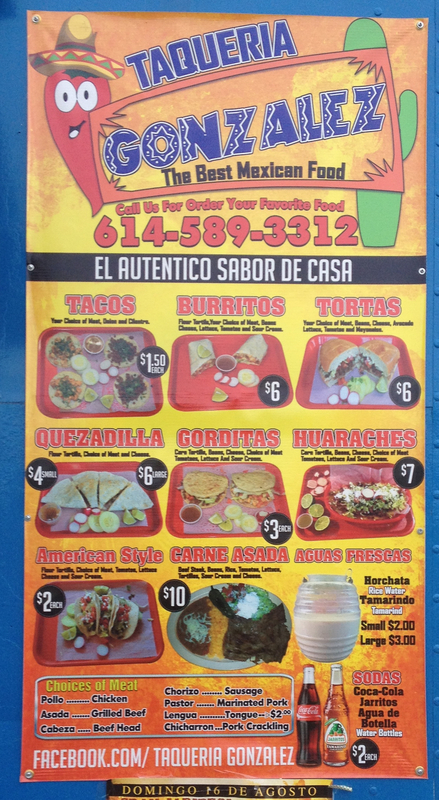 The meal is standard Taco Truck fare as displayed below. The service is friendly and if you check out their Facebook page you will see that can come up with some interesting specials for the truck and for events.